President Donald Trump has yet to decide whether or not he will renew the security waiver, allowing the US embassy in Israel to remain in Tel Aviv, or if he will authorize the relocation of the embassy to Israel’s capital, Jerusalem, Trump’s son-in-law Jared Kushner said during the Saban Forum on Sunday. Amid speculation that the president is planning on announcing a major change in US policy vis-à-vis Jerusalem this week, Trump’s senior advisor and son-in-law told Israeli-American media mogul Haim Saban that the president was still reviewing the facts and had yet to make a decision. Numerous reports in both American and Israeli media have cited unnamed sources in the Trump administration claiming that the president is prepared to either fulfill his 2016 campaign promise of relocating the US embassy in Israel to the capital, or of making the smaller but nonetheless symbolic move of publicly recognizing Jerusalem as Israel’s capital city. 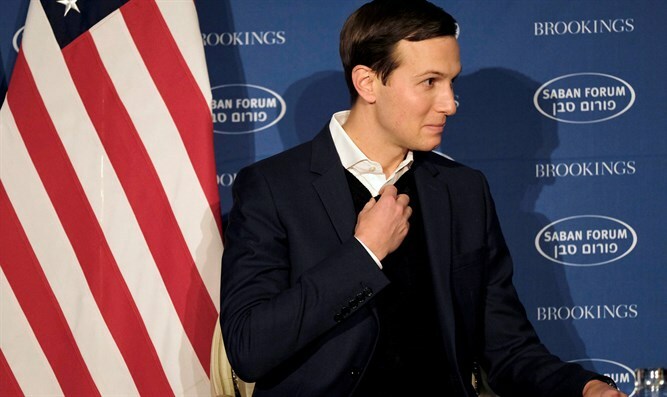 Speaking on the last day of the Saban Forum on Sunday, Kushner poked fun at the media speculation, claiming that the president himself had not yet reached a final decision. "All reporters have called saying they have inside sources and they know what his position is,” joke Kushner. "The president is going to make his decision. He's still looking at a lot of different facts, and when he makes his decision, he'll be the one to want to tell you." The statement came just one day before a deadline which could prompt the president to either announce a major change in US policy – or again delay carrying out his campaign pledge to relocate the embassy. By law, President Trump must decide on Monday whether to renew a security waiver which has allowed the US to maintain its embassy in Tel Aviv. Under the 1995 Jerusalem Embassy Act, passed by a wide, veto-proof bipartisan majority despite President Bill Clinton’s opposition, the executive branch is obliged to relocate the US embassy in Israel to the Israeli capital, but is permitted to delay implementation of the move for security reasons. To maintain the security waiver, the president must sign every six months that the embassy move is not feasible due to security concerns in the Israeli capital. Every president since Bill Clinton, including presidents George W. Bush and Barack Obama used the waiver throughout their presidencies. White House officials publicly refused to verify the claims last week, though some observers speculated that Vice President Mike Pence’s comments last week on the embassy suggested the president may in fact be planning a major announcement this week. Vice President Pence spoke last week at the invitation of the Israeli mission to the UN, at an event marking the 70th anniversary of the United States General Assembly vote on Resolution 181, endorsing the establishment of a Jewish state.